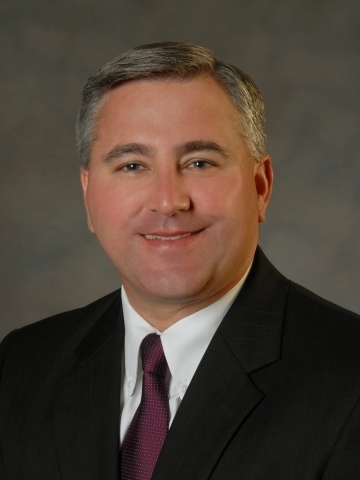 Steven E. Ward, President And CEO, Centennial Bank And Trust (Photo: Heartland Financial USA Inc.). Centennial Bank and Trust has announced the appointment of Steven E.
Centennial Bank and Trust has announced the appointment of Steven E. Ward to the position of President. Ward will join the bank effective immediately from Illinois Bank & Trust in Rockford, Illinois where he has served as President and CEO for nearly eight years. Both Centennial Bank and Trust and Illinois Bank & Trust are subsidiaries of Heartland Financial USA, Inc., a Dubuque, Iowa-based community bank holding company. Ward joins a management team led by Kevin Ahern who serves as Executive Chairman of the Board, John Rhoades as Vice-Chairman of the Board, formerly President and CEO of Summit Bank & Trust, and Jim Basey as Chief Executive Officer. In a merger agreement announced in October 2015 and completed February 5, 2016, CIC Bancshares, Inc., parent company of Centennial Bank, was acquired by Heartland Financial USA, Inc. (NASDAQ: HTLF). Simultaneously, Centennial Bank was merged with Summit Bank & Trust in Broomfield, Colorado to form a $900 million asset commercial bank named, "Centennial Bank and Trust," with 17 banking locations in metro Denver and mountain communities. Kevin Ahern, Executive Chairman of Centennial Bank and Trust said, "We welcome Steve Ward to our bank and the state of Colorado. Steve brings an exceptional repertoire of commercial banking skills to the position, including extensive credit and business development success. His significant banking experience will help maintain our growth rate and create a roadmap for continued growth." Prior to his appointment at Centennial Bank and Trust, Ward served for eight years as President and CEO of Illinois Bank & Trust, a $757 million asset community bank with 11 banking centers in northern Illinois. During his tenure, the bank grew organically and through acquisition by 182 percent in total loans and by 219 percent in total deposits. During the same period, the bank doubled its market share in the Rockford MSA to 6.5 percent. Ward oversaw the name change from Riverside Community Bank to Illinois Bank & Trust and managed the acquisition of Freedom Bank locations in Sterling, Seaton and Rock Falls as well as the merger with a sister bank, Galena State Bank & Trust, with locations in Elizabeth, Stockton and Galena. Ward said, "I am honored to have the opportunity to serve as President of Centennial Bank and Trust. The economic environment in Colorado is one of the best in the United States and I am eager to assist with the bank's growth momentum." Prior to joining Illinois Bank & Trust, Ward was Senior Vice President and Regional President at AMCORE Bank for nearly six years. In that role, he coordinated regional sales activities across all business lines. While there, Ward served as Senior Vice President and regional commercial team leader. Previously, Ward worked at American National Bank and Trust Company in Chicago, Illinois. There he served in several roles including, senior underwriter, First Vice President and was responsible for oversight of underwriting for $875 million in loan commitments. He was also manager of American National Bank's Rockford commercial division. Ward earned an MBA with concentrations in finance and marketing from DePaul University and a bachelor's degree in finance from Illinois State University. In the community, Ward has served as a member of the Rockford Area Economic Development Council Board of Directors, the Rockford Local Development Corp. Board of Directors, the Illinois Bankers Association Board of Directors and the Rockford Hockey Club where he served as treasurer and hockey coach. About Centennial Bank and TrustCentennial Bank and Trust is a growing Colorado bank with more than $900 million in assets and a total of 17 branch locations. The bank provides relationship-first banking services to businesses and individuals throughout the Colorado Front Range, foothills and attractive mountain communities. As entrepreneurs, the bank seeks to meet the needs of businesses large and small, established and growing, through innovative solutions informed by local knowledge. As a community minded bank, the interests of customers, shareholders, and communities are at the forefront of the bank's values. Centennial Bank and Trust is a subsidiary of Heartland Financial USA, Inc. For more information, please visit www.CentennialBanking.com .